File photo of Portmore United fans and a player in a celebratory mood. 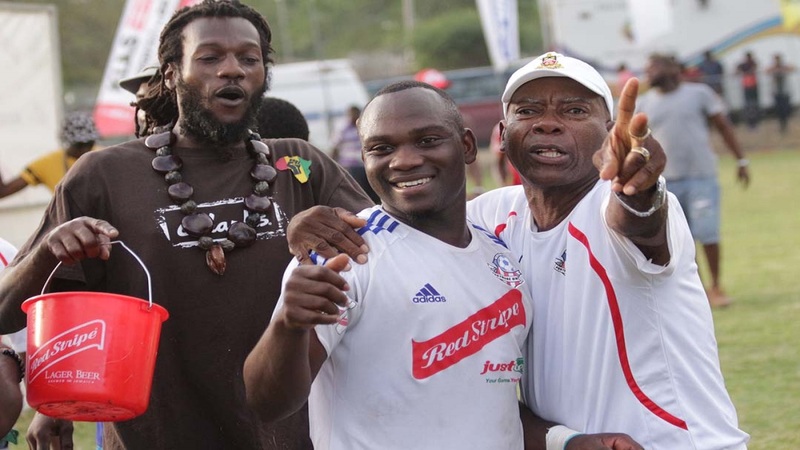 Portmore United captured the preliminary stage of the Red Stripe Premier League (RSPL) on Sunday when they hammered Montego Bay United 5-1 at Wespow Park to win the $1m prize for the second straight year. With one round of matches remaining before the competition moves into the second phase, Portmore are on 63 points, with second-place Waterhouse on 59. Therefore, with a maximum of three points to earn for their final match, Waterhouse cannot catch Portmore. Portmore’s win was achieved through a brace from Lamar Walker in the 23rd and 56th minutes, and single strikes from Andre Lewis in the 14th, Roshane Sharpe in the 81st and Cleon Pryce in the 83rd minute. Nevaun Turner scored for Montego Bay in the 71st minute. The loss almost certainly relegated Montego Bay from the league for next season. With the bottom two teams to be relegated, Montego Bay are in 11th position in the 12-team competition. Montego Bay are on 30 points and can only join Dunbeholden on 33 points. They, however, have a goal difference of negative 23 to Dunbeholden's negative seven. For Montego Bay to remain in the league, they will therefore have to overcome a goal difference deficit of 16. 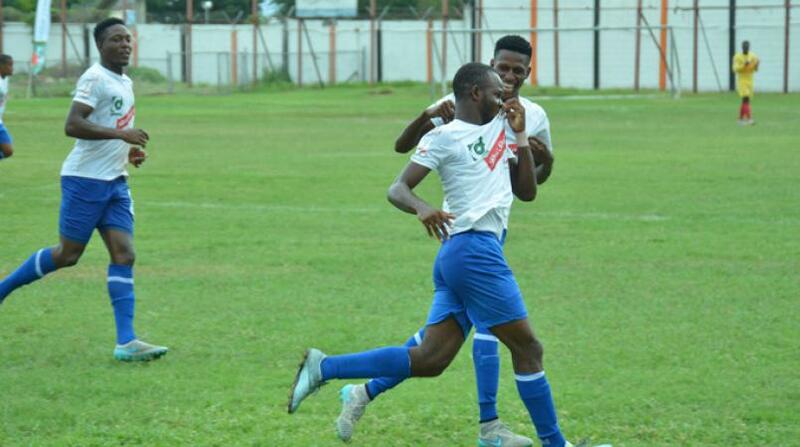 Waterhouse kept themselves in the hunt to join Portmore as the two teams that earn automatic qualification to the semi-finals of the competition, by defeating Tivoli Gardens 4-2 at Edward Seaga Sports Complex. 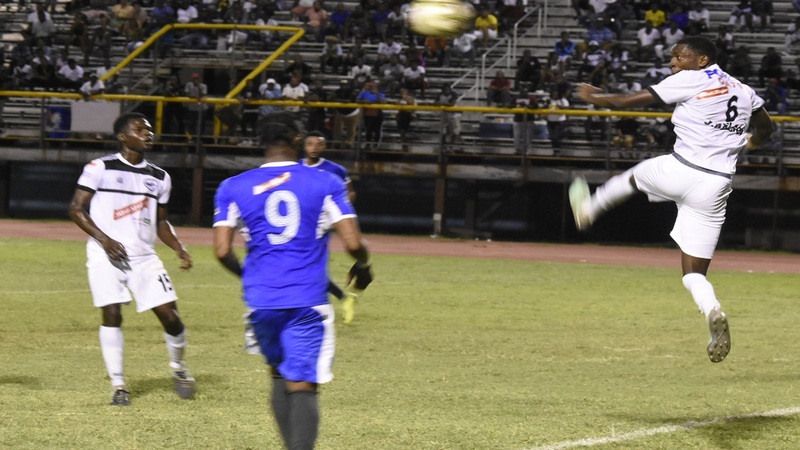 Kenry Howell in the fourth and 53rd, an own goal from Barrington Pryce in the seventh, and Andre Fletcher in the 79th minute, provided Waterhouse with the win, as Tivoli responded through veteran Jermaine Johnson in the 15th and Colorado Murray in the 61st. Tivoli ended the match with 10 men, as Howard Morris received a second yellow card in the 59th minute, and was ejected from the contest. The loss by Tivoli finalised the top six teams in the second round. At the end of the preliminary stage, the top six teams move into the next phase of the competition, with the top two automatically advancing to the semi-finals, and the other four meeting in a playoff. Third place will meet sixth and fourth meet fifth. Portmore and Waterhouse will continue in the competition along with Mount Pleasant Football Academy, Cavalier, Arnett Gardens and UWI, who are on 57, 51, 46 and 45 points respectively. Tivoli are in seventh position on 39 points. UWI solidified their place in the top six with a 2-0 victory over Dunbeholden, with goals from Stephen Barnett in the 73rd and Ryan Miller 10 minutes later. The win enabled UWI to also leap ahead of Arnett Gardens, who were defeated 1-0 by Mount Pleasant, with Ronaldo Rodney scoring the lone goal in the 39th minute. Meanwhile, Humble Lion and Harbour View earned the single point they needed to carry them to the safety of remaining in the league, by both drawing 1-1 with Cavalier and Reno, respectively. At Effortville Community Centre, visitors Cavalier took the lead in the 56th minute through Alex Marshall, with Lavaughn Williams scoring from the penalty spot in the 62nd minute to equalise, while at Harbour View Mini Stadium, Timar Lewis gave the host the lead in the 66th minute, with Renario Downswell equalising for Reno in the 73rd. Harbour View had Odaine Samuels ejected in the 74th minute after picking up his second yellow card. With the point, both Humble Lion and Harbour View moved to 35 points, while Reno were already condemned to relegation from next season’s competition.